Here we are, read us: Women, disability and writing is the latest Crip the Lit project. We began it last year, Suffrage year, and for that reason we chose to shine the light on disabled women writers. But within that, we wanted a wide spread of writers to be represented. I think of the disability area as a place that involves diversity upon diversity. In the book, we wanted a mix of established and emerging writers, a geographical mix, a spread of writing genres, a spread of impairments and cultural diversity. That’s quite a bit to fit into eight writers! And of course, we wanted writers who had something to say about disability and writing—as all of the women in the book do. The process of finding the writers—seeking suggestions from our own networks and beyond—led to some interesting conversations. How do you define disability? What’s ‘in’ and what’s ‘out’? One person said: "Because some disabilities are invisible how would I know if this writer or that writer had one?" For me, those responses are an indication of how rich this area is for more discussion—and more writing. What does it mean for a writer to identify—and why might they not? Where do people feel they belong and what happens to your writing when you feel part of something bigger? That was some of the backdrop to creating Here we are, read us. 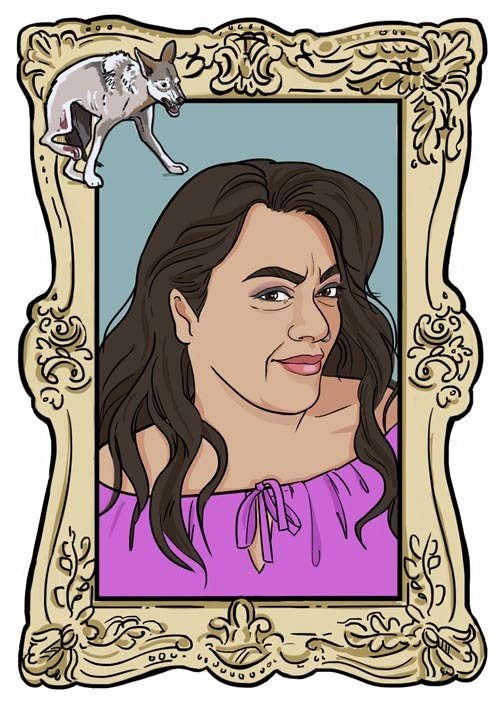 The nuts and bolts involved asking each writer to supply a photo of themselves, which Adele Jackson transformed into the fabulous illustrations you can see in the book. Then we asked each writer to come up with a personal signifier—an object or creature—that was significant to them because of their disability or their writing … or significant for some other reason. You’ll find those objects in the frame around each portrait. Then we asked each writer four questions. What do you write? Why do you write? Why did you choose that particular objects/creatures sit on the frame? What is the intersection between writing and disability for you? I love how everyone has approached those questions differently – speaking on their own terms, playing with language and images to give us their answers. As it says in the introduction: they are spinners of stories, holders of mirrors and openers of doors. One thing the book does not do however, is share their actual writing. We’re going to do that now. We're very grateful to all the writers who are here, though a consequences of a geographical spread of writers is that not everyone can to be present…and to be honest a consequence of living with a disability also means that—but we still have the words of those who can’t make it – their clear writing voices -- and isn’t that the great value of books? That your voice is present even when you are not able to be. Trish Harris is a writer and co-founder with Robyn Hunt of Crip the Lit. 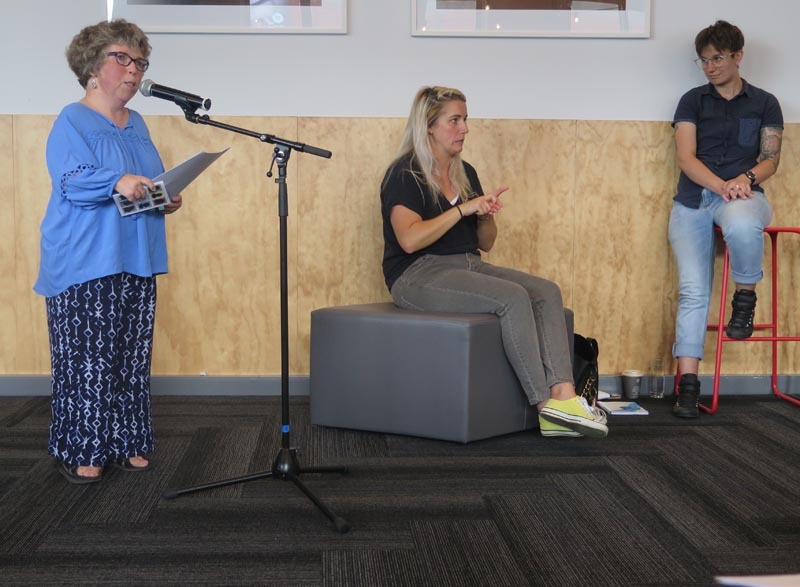 This is the speech she made at the launch of Here we are, read us: Women, disability and writing. Original generation time 1.7351 seconds. Cache Loaded in: 0.0004 seconds.